The following were reviewed from the extensive collection of papers reproduced for the Hudson’s Bay Company expeditions and activities throughout the late 18th and early 19th centuries (pictured above). The purpose here was to focus on the introduction of novel philosophies and new medicines to the medical community. A few traditional or allopathic/military medical notes are included in this review to put into perspective the practice of regular medicine by the Hudson’s bay Company. However, the focus here is on the introduction of Native American ethnobotany and Metis (French Canadian and “halfbreed” behaviors) , and the insights we get on trapper traditions by reviewing these documents. I cannot recall how long this project took about 15 years ago, but it was extensive and three collections of books were reviewed related to Mountainmen, trapping and Hudson’s Bay Company. Fortunately (or perhaps not) the medical information was fairly well isolated for most of these series and could be found in the books based on the indices that were available. In general, going through these series was like going through the multivolume New France writings. The index itself had to be scrutinized and read line by line sometimes to pick up on other previously missed information. Fortunately, herb names tended to be in Latin and italicized, making them stand out in the indices. For those of you who wish to review these series on your own, patience is very much a virtue, and coffee, since this is most likely to drag into the evening before you reach the end of the next volume in the series. Isham’s notes are the most trapper-like of the letters, etc. published in this HBRS series. His misspellings and his details fit those of a trapper deeply entrenched in the life of a wilderness man. “Appendix A” notes “A Journal of the most material Transactions and Copys of Letters between Mr. James Isham & Council at York Fort, and Capt. William Moore, Capt. 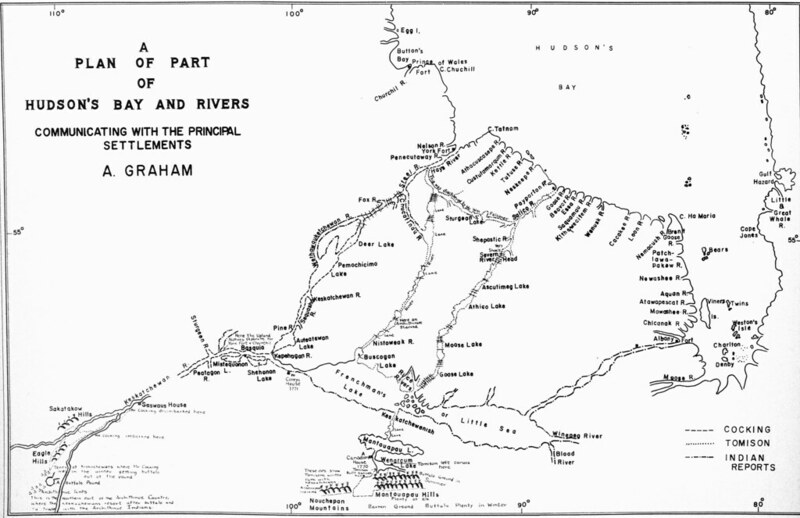 Francis Smith and their Council during the Wintering in Haye’s River Commencing 26 August, 1746. Ending 24 June 1747.” Some names of these plants were spelled phonemically by Isham, they appear in quotes in this listing with descriptions. The second half of this book includes many comments and related quotes and footnotes made by Isham, using Ellis’s A Voyage to Hudson’s-Bay, By the Dobbs Galley and California, in the Years 1746 and 1747, For Discovering a North West Passage… (London, 1748). According to footnotes added by the editor, Ellis served as a proprietor aboard these two ships. He was at York Fort much of this time, 1746-1747. Isham felt a certain dissatisfaction with Ellis’s comments about Natives and French in this book. Ogden, Osborn, Townsend and several other trappers and/or traders were dedicated to beliefs of the Hudson’s Bay Company, which were equivalent to those of England and lacked the philosophical beliefs underlying French-Canadian herbalism. Medicines noted are seen in the Appendix section of this book, which lists “Arctic Land Expeditions Cr[edits]. By Norway House Out. 1845” (pp. 306-310). See “Medicines–Hudson’s Bay Company, Arctic” and Foods–Hudson’s Bay, Arctic” for full rendering of the nutriment and materia medica. See Appendix A, p. 188, in which the following note is seen: “Report of Fort Alexandria Western Caledonia Columbia River District Outfit 1827 p[er]. Joseph McGillivray Chief Trader H.B. Co.” Materia Medica notes are taken from the brief natural history description given of “the Banks of the River and Interior parts” on page 191. Robert Linklater is noted to be “taken very ill with the gravel” in July 17, 1796 entry, p. 63. The letter dated 4 December 1797 is the only one which mentions medicines.